Throughout the years, everywhere in the world, people have adopted co-operative models as an effective way to do business. Working together is a tangible expression of a philosophy that gives ordinary people control over their lives. Prince Edward Islanders have long been engaged in co-operation, consistently putting their own stamp on co-operative ideas they saw elsewhere, and shaping them to fit their own distinct needs. Where no models existed, Islanders created their own: institutions such as farmers? banks and fishermen?s unions, which in turn inspired others. 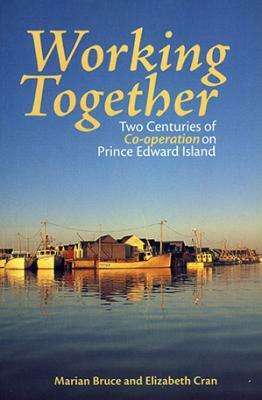 Working Together tells the story of the co-op movement in Prince Edward Island from its beginnings in the 19th century to its prospects for the 21st. Based on exhaustive research and dozens of oral interviews, and written in a journalistic style, it bursts with portraits of individuals and communities working together to create better conditions in challenging times. The book highlights a part of PEI?s history that has shaped its working landscape, and which continues to offer relevant lessons on how it might shape its future.